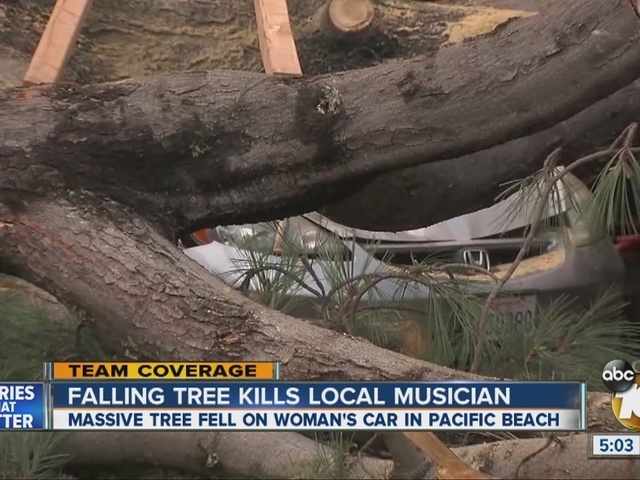 SAN DIEGO -- A woman was killed after strong winds brought a tree crashing down onto her car as she was driving down a Pacific Beach street Sunday afternoon. San Diego Fire-Rescue was called to the scene shortly after 3 p.m. in the 3900 block of Ingraham Street near Fortuna Avenue, according to Capt. Joe Amador. 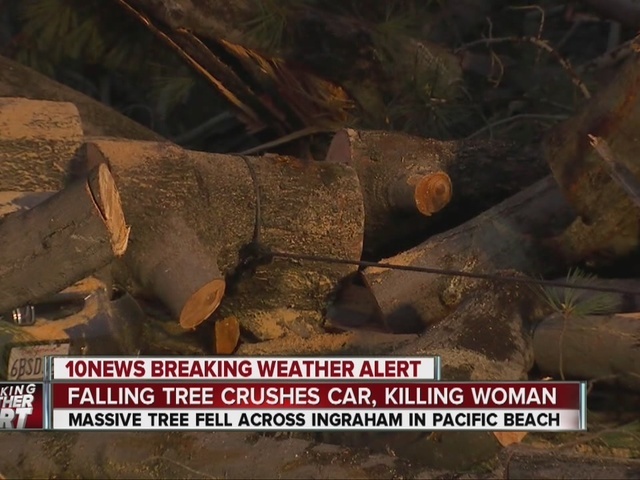 An eight-foot diameter oak tree fell across all four lanes of the street, crushing four cars, including a small Honda sedan containing the victim, whose identity was being withheld. "And then I saw the cars underneath. And my stomach just dropped," passerby Michael Sharma said. 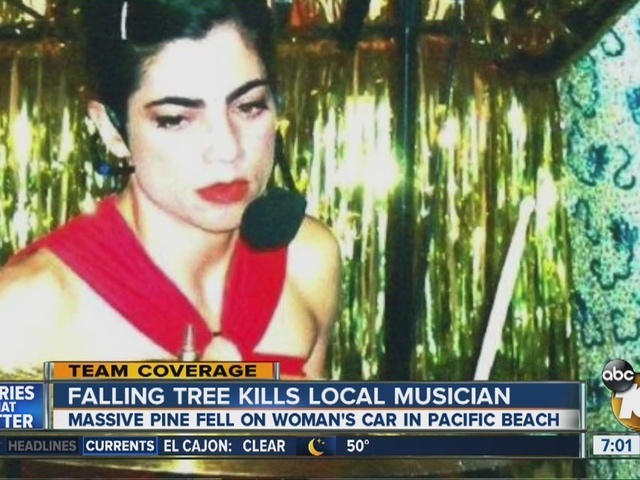 Several people rushed to help the woman, later identified as 48-year-old Nicki Carano, a local musician and dance instructor. "We could see a car underneath there, but it was completely crushed,” said Bill Linton, who was among those that tried to help the victim. “The whole passenger and driver side was just completely crushed under this huge trunk." "We piled out of the car and kind of ran to the scene of the accident, saw that there was not a lot we could do." Firefighters worked to remove the victim's body from the crushed car more than two hours after the tree toppled on it. Traffic was diverted from the area in both directions. Due to the size of the tree, crews had to remain on scene throughout the night. According to an online biography, Carano taught dance, drumming and musical theater for more than 15 years in addition to performing. She had taught at numerous local campuses including the Academy Of Performing Arts San Diego, Mesa College, UC San Diego and the Coronado School of the Arts, according to the Academy Of Performing Arts.